Tracy lives on 20 acres in South Carolina. She is the author of Our Simple Life. I never dreamed that this farm girl from Pennsylvania, who’s only thought was to get off the farm as a child, would do a complete turn around and work even harder to get back on the farm as an adult. My husband Craig and I live on 20 acres in central South Carolina where the soil is sandy and the weather is dry. A far cry from the lush green fields of Pennsylvania where we were raised. Gardening in South Carolina is a lot different from the way it was in Pennsylvania and it’s been a learning curve for the both of us. Even raising animals is harder than what I remembered as a child. It could be that I was just a farmer’s helper then and now I am a farmer. There are still days I call my dad and ask for his advice, but all-in-all we are learning as we go. Let me go back a few years and tell you how we got here. As with most Americans we focused our early married years chasing that old mighty dollar. Raising children, purchasing a home and making a name for ourselves was all that mattered. And then it happened…we got burned out and crashed! After years of building a business and careers we realized that the simple life we wanted so badly was passing us by. So what happened next? We sold our house and business in the city, bought 20 acres in the country, lived in a 5th wheel for two years, built a small house and barn and now are in the midst of a full-blown homestead and could not be happier. My husband still works a day job and I work from home to keep the homestead in working order. We strive to be self-sufficient by raising our own bees, tend a huge garden, raise pigs, rabbits and chickens for meat, and have laying hens for eggs. Craig hunts in the fall to fill our freezer with wild game and I use my homemaking skills to make do with what we have and to live within our means. By raising our own meat and vegetables, along with making our own green cleaning products, we know what goes into everything that is on our table and every product we use in our home. Many think it is a lot of work and often ask why I bother, but the peace of mind I get from knowing I am helping our environment and keeping my family healthier is all I need to know. And as a special bonus my grocery bill is much cheaper than many families I know. Would we have been better off continuing to chase the mighty dollar? 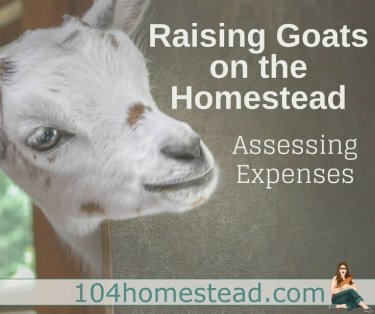 Our bank account might say yes, but in our hearts and minds we know we are very happy living a much simpler life as homesteaders. Homesteading has changed our lives! Yes we have given up the fast paced world, careers, living close to modern conveniences and fast Internet, but we wake up to roosters crowing, pigs snorting and a to-do-list a mile long. At the end of the day we know we have put in a good wholesome days’ work and go to bed dog tired as happy healthy homesteaders. Follow Tracy and her husband’s journey by visiting them at Our Simple Life.